I’m still on the Comber Greenway. 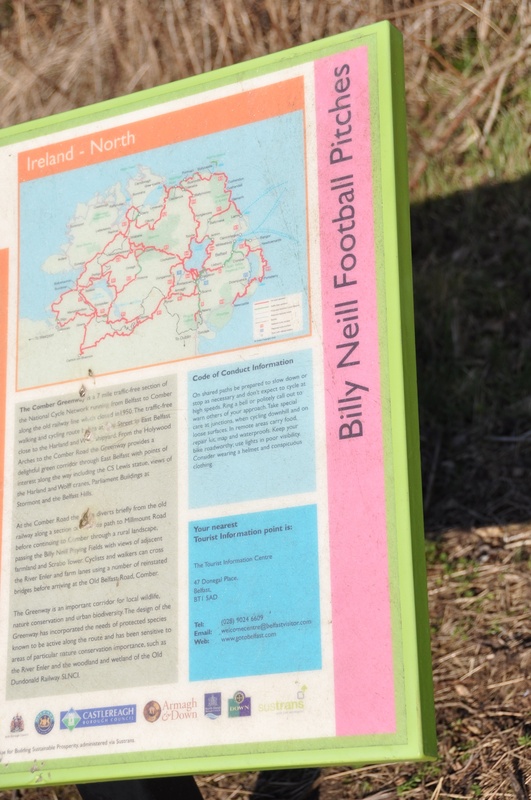 After Ballyloughan, Ballystockart, and Ballyrainey, the next townland on the Greenway is Ballyrussell. 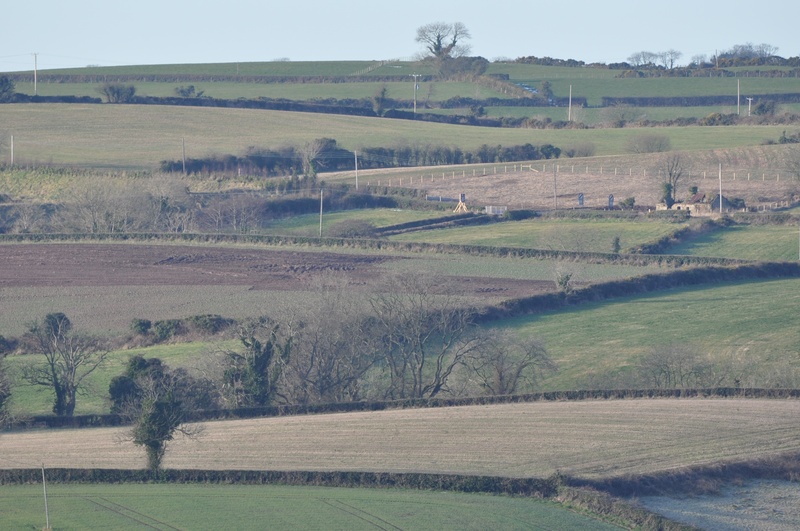 This was my view of its patchwork of fields in February 2015. 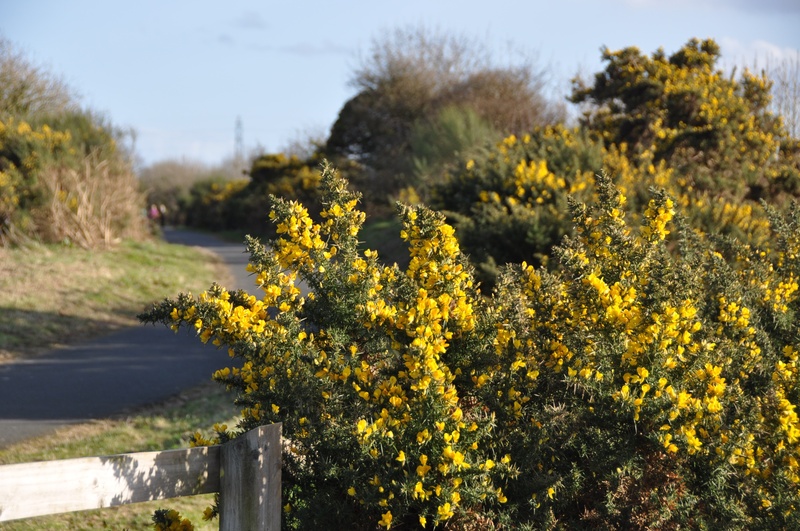 By 8th March the weather was more spring-like, and the gorse that lines the Greenway was flowering. It’s not in full bloom yet, but as Seamus Heaney wrote, “all year round the whin can show a blossom or two”. Heaney compared the yellow flowers to the yolk of birds’ eggs in his poem “Whinlands”. You can click here for a link to the whole poem. 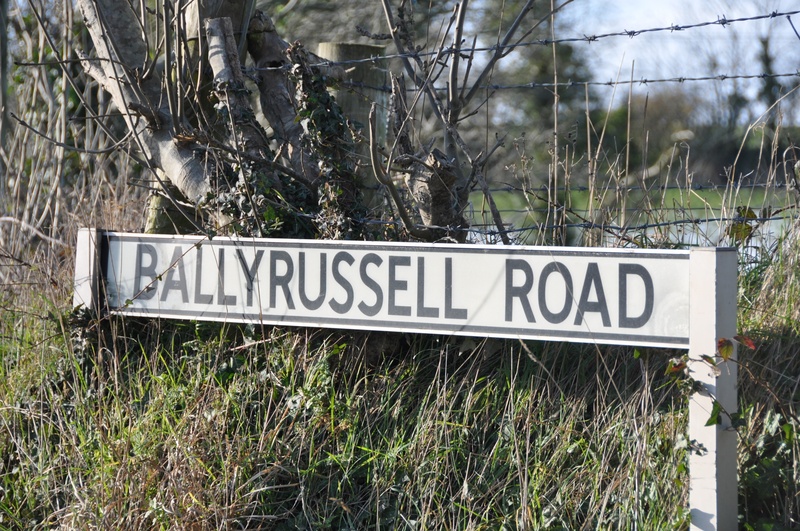 Ballyrussell simply means “Russell’s townland”. The PLACENAMESNI website suggests that our Russell may be Osberto Russell, who came to County Down in the 12th century as part of the Anglo-Norman forces under John de Courcy. 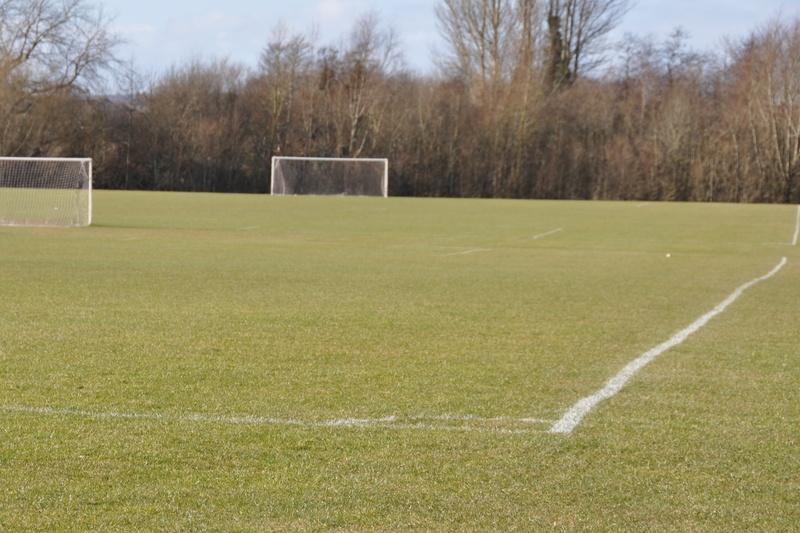 As you walk along the Greenway through Ballyrussell you can see some great facilities for playing football. 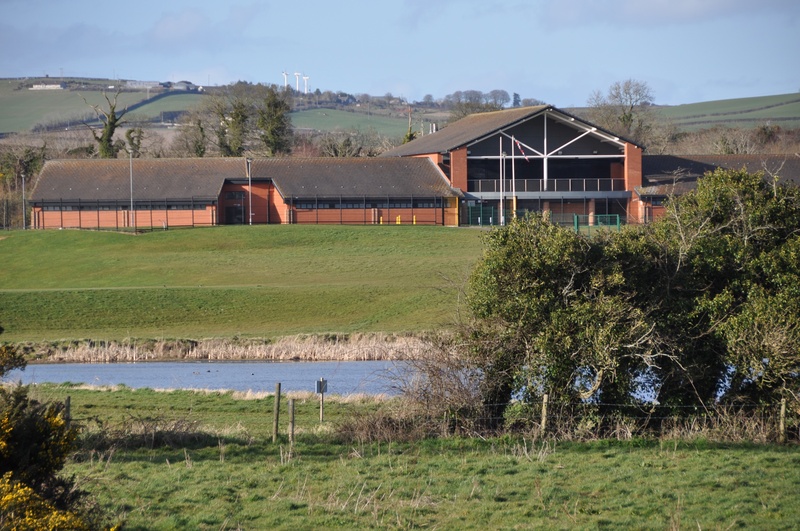 These football pitches and clubhouse were named after the late Billy Neill MBE, who played football for Glentoran. You can leave the Greenway at the football centre. They have a carpark and an exit out to the Comber Road. I’ve never been brave enough to park there and go for a walk, in case my car gets locked in. I guess the gates stay open as long as people are playing football, but the pitches were empty on the day I took these photos, so it wasn’t worth the risk! Click here to see my photographs of gravestones related to this townland.